1. Interpreting your style - What is your personal style? How can we put your unique stamp on the room that we're designing? 2. Function of the room - Understanding the purpose of a room can influence the way it is designed. Who will be using the room? How much traffic will it see? 3. Care & Maintenance - Our goal is to design a room that looks great today and 10 years from now. What can we do to make sure upkeep is easy? As you step through the process with one of our friendly design professionals, you'll find that we take the time to really listen to your ideas and are actively involved and committed to making your dream room a reality. Designing a room is a lot easier when you have access to the extensive product selection available at Kitchen & Bath Gallery. From Modern to Traditional, Rustic to Eclectic, we're sure to have the fixtures and finishes to match your design sensibilities. 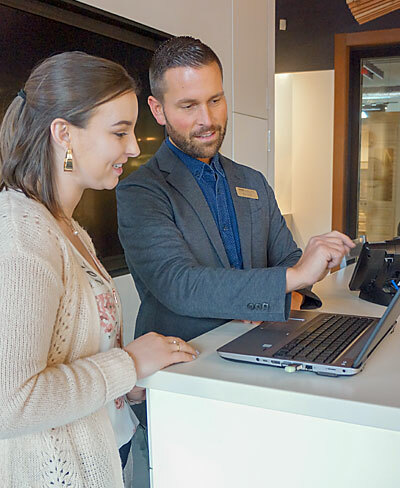 Consultations at one of our showrooms allow you to touch and feel the quality of everything that's available. 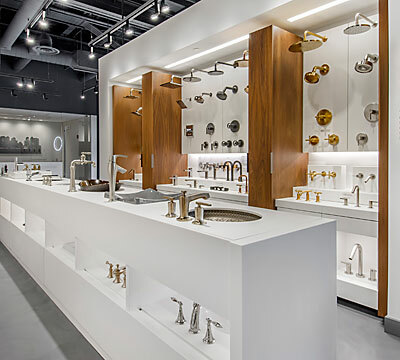 You'll quickly discover that we're a one-stop shop for everything related to kitchen and bath! Part of the design process are meetings that typically take place at one of our showrooms. Here, our beautiful vignettes can show you different styles and products in use and inspire the creative direction of your room. Ask an associate about our expanded design service offerings. Sometimes the best ideas happen on-location. For this reason, we offer additional services where our designers can meet with you at your space for accurate measurement and brainstorming. They can show you where key elements will go and help you to understand how changes will affect your space. 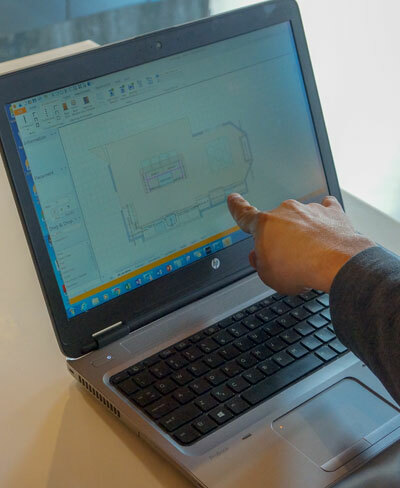 Once the plan has been set, our design professionals can provide you with a three dimensional walkthrough of your new space. We'll feed all of the new products and finishes into our software and let you experience the changes firsthand.